South Kensington in London is synonymous with museums. 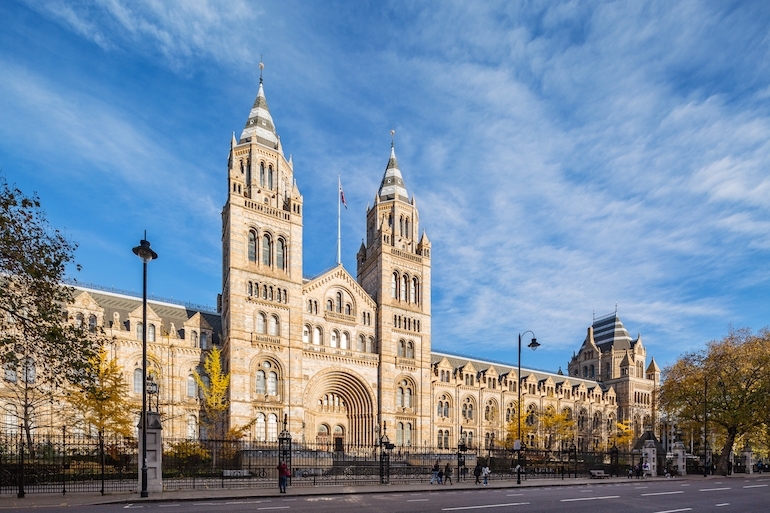 Three of our best known national museums can be found here: the Natural History Museum, the Science Museum and the Victoria & Albert Museum, known affectionately to many as The V&A. However, this is a relatively new area which, only 170 years ago, was known as Brompton and was an 80-acre site of market gardens and fields. It was renamed, South Kensington after the opening of the first museums to give it more appeal to visitors at the time; the name being chosen because it was close to Kensington Palace. 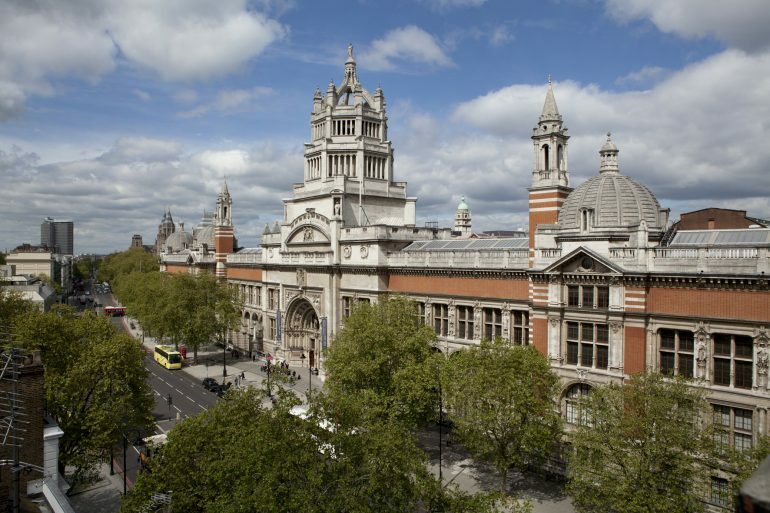 Victoria & Albert Museum – The world’s largest museum of decorative arts and design. Photo Credit: © Victoria & Albert, London. The area grew quickly over a 70 year period after the first ever world exhibition in 1851. This exhibition was housed in Hyde Park in a huge palace of glass. It featured exhibits from around the world, including those of the British Empire. It was an instant draw for the Brit-ish and many people from overseas. The recent advent of the railways meant people of all backgrounds and ages were attracted in huge numbers to visit. 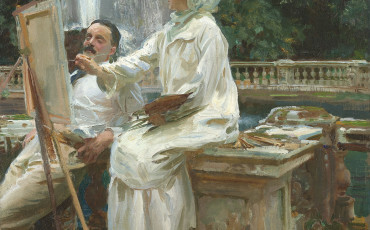 In fact, it was so successful that it brought in large sums for the country, which were then used to create our museums. The Great Exhibition of 1851 was the brainchild of Prince Albert, husband and Prince Consort of Queen Victoria and a civil servant-inventor called Henry Cole. Albert was a man of the future and fascinated by technology and progress. 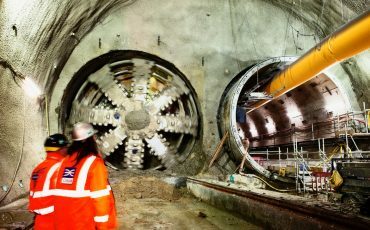 He wanted Britain to continue to be at the forefront of technology way into the future and good design would be key to this. Showcasing manufacturing machines, modern communication processes and technology of all kinds from Europe but also textiles, furniture, and artifacts from such far-flung places as India and Persia, it would have been a marvel to people of the Victorian age. 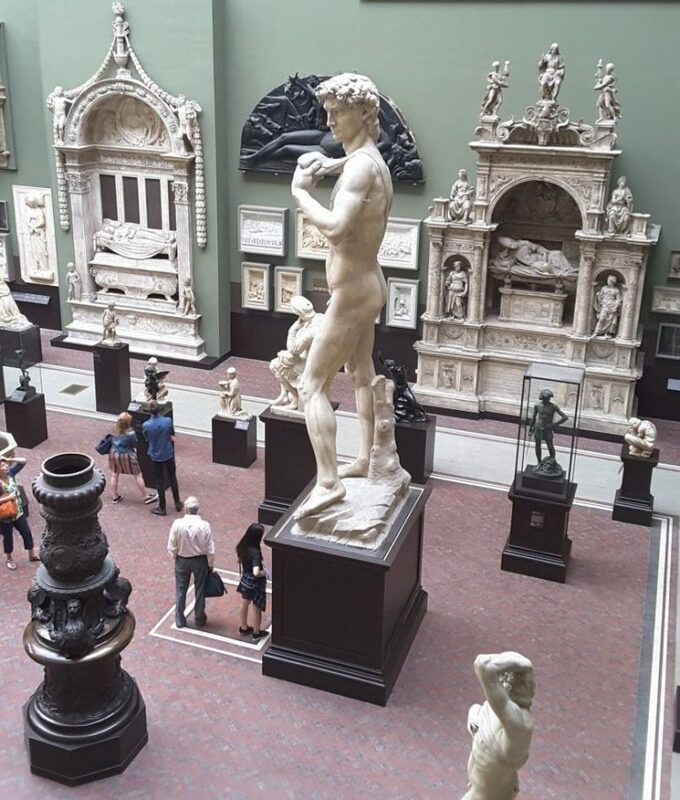 Victoria & Albert Museum: Michelangelo’s David, plaster cast c 1856, gallery 46b, the Weston Cast Court. Photo Credit: © Ingrid M Wallenborg. The first permanent gallery in the area and predecessor of the Victoria & Albert Museum was opened in 1857 housing many pieces from the Great Exhibition. Temporary buildings nicknamed the ‘Brompton Boilers’ were created but soon moved to a more permanent structure known as the South Kensington Museum. Queen Victoria gave its current name when she opened the new wing of the museum in 1899, renaming it after herself and her beloved Albert. The Victoria & Albert Museum is now the largest museum in London, the latest wing being opened by Catherine, Duchess of Cambridge. It is without a doubt the world’s greatest museum of art and design. Here you can see statues, textiles, furniture, paintings, jewellery, and fashion from all corners of the globe. One of the most prized pieces of the Royal Collection is also here – the Raphael Cartoons – huge paintings that were used to create tapestries which, to this day, are displayed in the Sistine Chapel in the Vatican during a Papal election. The museums’ role was initially to educate and encourage manufacturers to improve their designs inspired by worldwide goods. For this reason, it was free to visit and to this day it is still free to enter and continues to have a valuable learning role. Students visit from all over the world and still, designers come to gain inspiration from the past and from overseas cultures. The Science Museum grew out of the South Kensington Museum when it was decided to split the scientific and technological sections from the art and design and was created in 1909. 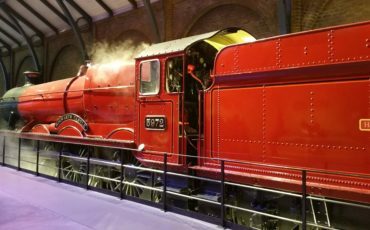 It was always to be a museum rather than an educational establishment and charts the progress of the Industrial Revolution, also featuring engines which changed our world such as the steam engine, the locomotive, and the first cars. There are also galleries dedicated to Space travel where rockets and space mobiles are particularly popular with young visitors. Other sections are dedicated to Aviation, Information Technology, and Mathematics. There are plenty of interactive areas to entertain and educate young people. 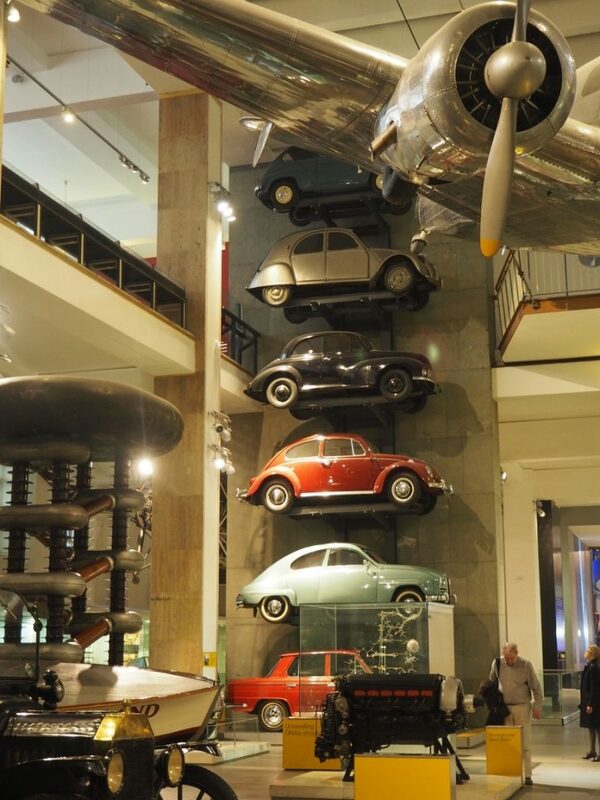 Science Museum: Design Diversity Popular Cars. Photo Credit: © Ursula Petula Barzey. In 1858, Charles Darwin published his On the Origin of Species and interest was increasing in the area of Natural History. New samples of animals and plants were being discovered and brought back from around the world, many ending up at the British Museum. So large were the collections that a separate museum was required and a fabulous building was created especially for them. With an almost cathedral-like interior, it is a masterpiece of Renaissance architecture in terracotta, quite clearly dedicated to animals as can be seen from the statues on the outside. The Natural History Museum features many species which can still be found across the planet, as well as many that are extinct. Here you can view animals, birds, insects, fossils, hear the sounds of dinosaurs and see their skeletons. There are also sections dedicated to rocks and minerals showing wide varieties of gemstones of all different colours. There are rare rocks from Mars and the moon and even space dust which dates back millions of years. This is the museum which appeals most to children, but it is also a delight for adults with a wonderful exhibition each year on Wildlife Photography. The Natural History Museum. Photo Credit: © London & Partners. South Kensington is now home, not only to the three museums but also to one of the top universities in the world, Imperial College, which excels particularly in the field of science. Just to the north of here is the Royal College of Music and also the Royal Albert Hall, now a large concert hall and home each summer to the BBC Proms. The whole site has the nick-name Albertopolis out of respect for the great visionary; Prince Albert. All of these museums can be visited briefly or in more depth. Taking a tour with a Blue Badge Tourist Guide enables you to view the galleries in a completely different light. Choose a high-light tour or focus on a particular aspect of the Victoria & Albert Museum for example. With such a wealth of fascinating things to see history, design, and even world evolution can be brought to life for you.